To start off the weekend, every region had some sort of spirit wear they wore the first night during the opening ceremonies. 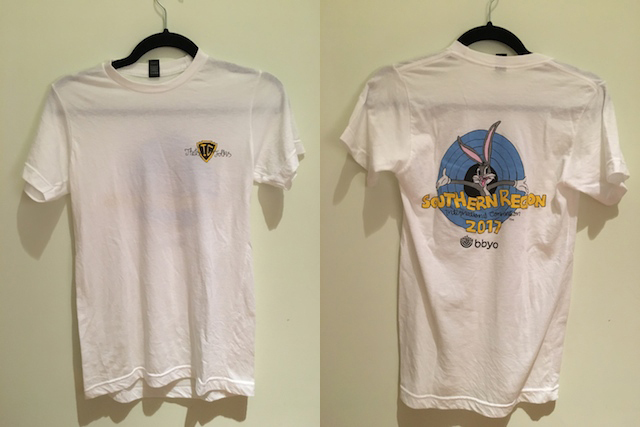 Southern Region's mascot is the bunny and purple and white are our colors. We wore this shirt along with tattoos and bunny ears. Every BBG at IC got this shirt. We all wore this shirt to our activities on Thursday. I felt like I was in a very comfy uniform since everyone was wearing the same shirt. The Alephs were wearing an identical shirt for AZA. This was Southern Region's t-shirt for Israel day. The shirt is crazy soft. I just want to wear it everywhere. It might be the softest thing I own. Every BBG got their t-shirt and a water bottle inside this bag. I don't fully love the color, but I love that it has BBG on it. Atlanta always has tons of spirit at IC. This year was no exception. 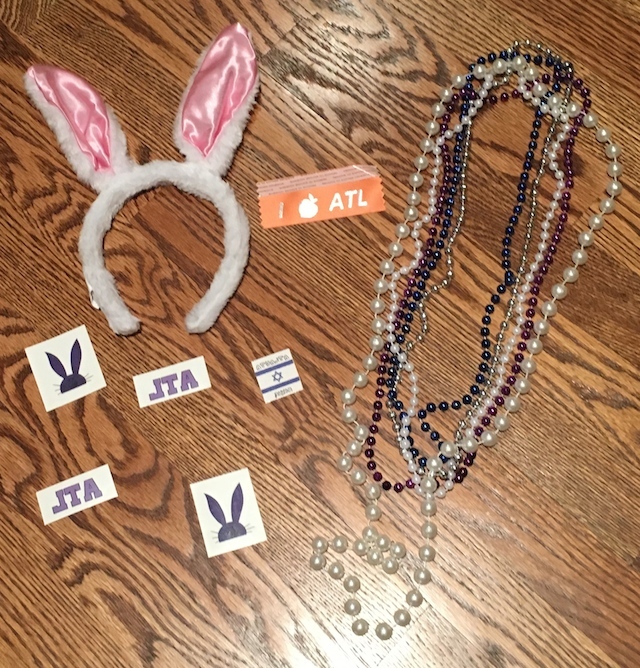 Everyone got bunny ears to wear with the Southern Region tank top along with beads to wear. I brought along a few extra beads that I wore throughout the weekend. The tattoos are super fun. I ended up getting a little rash from getting my tattoo off. I wish I got to wear the rest of them. Everyone has a name tag that you have to wear all of IC. Atlanta was super clever and made everyone Atlanta tags they can attach to theirs. Shuk is always amazing. IC's Shuk was no exception. I ended up going on the last day with only 20 minutes left. Most of the stuff had already been sold out that I wanted. 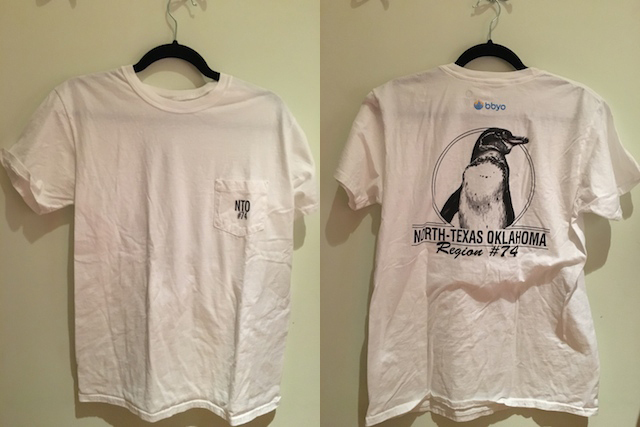 I ended up getting 3 t-shirts all from NTO (North Texas Oklahoma). I guess they make good t-shirts. This penguin t-shirt is adorable. I love how it has a pocket. T-shirts with pockets are always good. It might be plain to some, but I love it. This long sleeve is perfect. I love the color of it. I had such a hard time choosing between this and a dusty blue. The actual design is amazing. 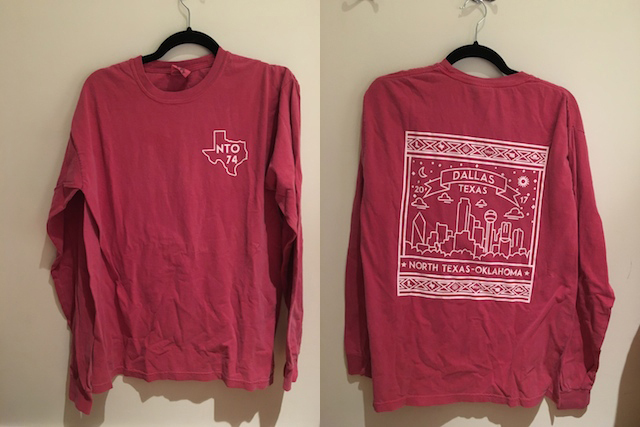 I love how the skyline of Dallas is on the t-shirt. This long sleeve is awesome. I love how the logo says Southern bred. Maybe, Southern Region should make a t-shirt similar to it. I absolutely love all the clothing I got from IC. 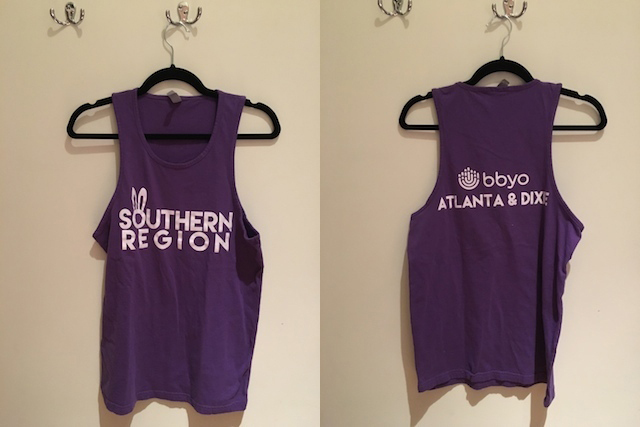 BBYO clothing is the best. I love how t-shirts are passed down. 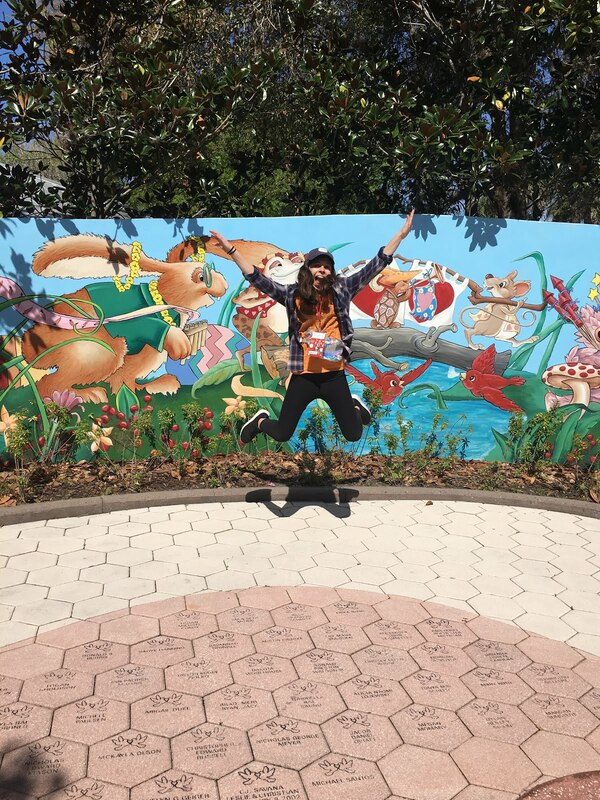 If you missed my recap of IC, you can check it out here. Thanks! I've worn the bunny ears for a couple of other costumes recently. They're definitely fun and way more useful than I would expect them to be. The shirt is super comfortable. Yes! I'm happy with everything I got! You got your hands on some great tees. I love the t-shirts I got. These are fun tshirts! They remind me of my sorority shirts from college! I love rocking my BBYO shirts around town. hey what do those acronyms stand for?? hahaha and looks like you got some good stuff for sure!! I should probably make a post explaining what BBYO is since it's such a big part of my life. Anyways, I'll give you a short little rundown. BBYO is basically Jewish Youth Group. IC is International Convention for BBYO. Lots of people go on summer programs, and then see their friends from the summer at the convention. I love the shirts I got! What fun shirts! Love the last one. 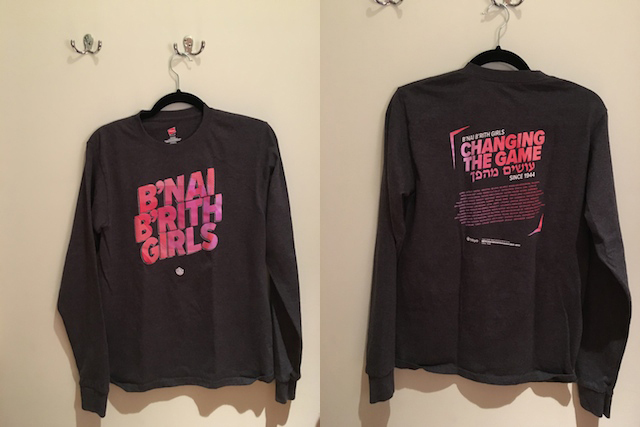 The NTO shirt is super cute! I've never heard of this group before, so fun! BBYO is seriously the best! BBYO is truly amazing! 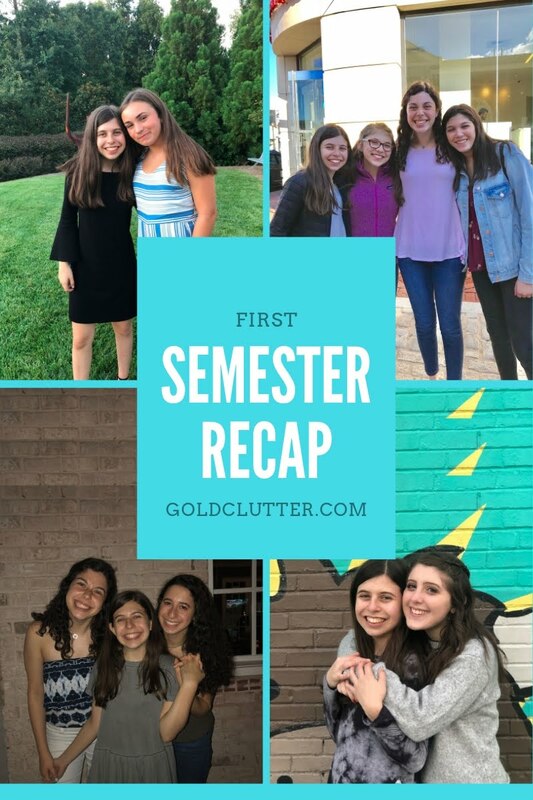 I should write a post all about BBYO where I explain what it is. I've never heard of this before but it looks like you had a blast and got so many cute things.